My Cinema Lightbox is super simple to set up (which you can’t say for a real movie theater marquee). 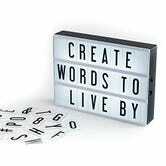 Just add your six AA batteries or plug in into a USB port and it’s ready to be emblazoned with your words. 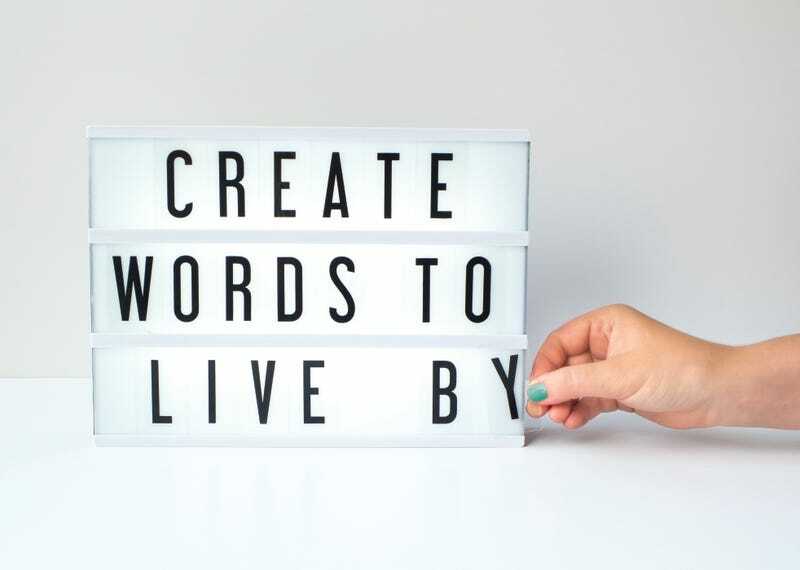 It comes with 100 letters, with triples and quadruples of most, to create whatever your heart desires, while still fitting into the predetermined space. After fiddling around with breaking the letters apart, it was as simple as sliding them into the rails and marveling at just how clever I really am. It’s a great way to be super cheeky or lame or even offensive, but still be Instagram appropriate. Just push the button on the side to turn the light on and bask in the dim glow of your favorite saying. Choose from the Mini, Original, and XL, or opt for their newest addition, which has the ability to switch the white LED to a color-change mode. You can also pick up supplementary letters, symbols, and Emoji to make sure you can really express yourself.